Graduating from college is a long, intensive, and expensive process–and when you’re paying off student loans, it can be hard to think about spending money on essentials like a vehicle. That’s why Bob Boyte Honda is offering the Honda College Graduate Bonus, where eligible college graduates can get $500 toward any new and untitled 2018 or 2019 Honda automobile when financed or leased through Honda Financial Services! The $500 must be used as Cap Cost Reduction or Down Payment Assistance with Honda Financial Services*. Just like your college degree, Honda vehicles are a great investment: they’re reliable, they last a long time, and they keep their value well compared to many other brands. 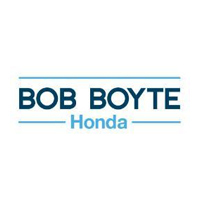 We want to help you get the vehicle that’s right for you, so stop by Bob Boyte Honda and see how we can help you save on a new Honda today!